Objective: To formulate and evaluate the Levosalbutamol sulphate loaded microspheres of Chitosan and microspheres of Flax seed Mucilage in which both the polymers were checked as potential mucoadhesive agents and crosslinking was done with Glutaraldehyde for prolonging drug release for asthma therapy. Material and Method: Chitosan and Flax seed mucilage (by drying in Hot Air Oven) were used in appropriate concentration and crosslinked microspheres were prepared by Spray drying. They were evaluated for %Entrapment efficiency, Swelling behavior, %Mucoadhesion and In-vitro drug release. The optimized batches were subjected to Particle-size distribution, Scanning-electron microscopy, Aerosolization behavior and Stability study. Result and Discussion: Microspheres having Chitosan polymer: Drug ratio of 2:1 and 0.6% of Glutaraldehyde and that of Flax seed Mucilage: Drug ratio of 3:1 and 0.9% of Glutaraldehyde had good mucoadhesion ability (89.50% and 85.11% respectively). Release rate was retarded up to 8 h and follows non-fickian diffusion. Particle-size distribution of optimized batches was represented by span index (3.822 and 2.953 respectively) and value was nearer to marketed product (1.975). Aerosolization behavior could be comparable with marketed product. Stability study showed no changes. The overall results of this study indicate that microspheres described above may be considered as Dry Powder Inhaler of Levosalbutamol sulphate for asthma. INTRODUCTION: Pulmonary drug delivery is an important research area which impacts the treatment of illnesses including asthma, chronic obstructive pulmonary disease and various other diseases.Asthma is one of the leading diseases in the world and needs some serious attention. It can lead to various complications like bronchospasm, respiratory failure; chronic obstructive pulmonary disease (COPD) etc. Inhalation gives the most direct access to drug target. The delivery of drug by this route has distinct advantages of protecting the drug from the hepatic first-pass elimination, gut wall metabolism, and destruction in Gastro intestinal tract and it also offers excellent controlled release of drug and better systemic therapeutic response 1. Recently, dosage forms that can precisely control the release rates and target drugs to a specific body site have made an enormous impact in the formulation and development of Novel Drug Delivery Systems. 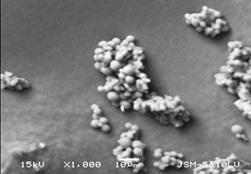 Microspheres form an important part of such novel drug delivery systems 2. The use of microsphere-based therapy allows drug release to be carefully tailored to the specific treatment site through the choice and formulation of various drug–polymer combinations 3. Microspheres can be developed into an optimal drug delivery system which will provide the desired release profile. Microsphere based systems may increase the life span of the drug encapsulated and control the release of the drug 4.However, the success of these microspheres is limited owing to their short residence 5 times at the site of absorption. It would therefore be advantageous to have means for providing an intimate contact 6-9 of the drug delivery system with the absorbing membranes. Bioadhesive microspheres have advantages such as more intimate contact with the mucus layer and specific targeting of drugs to the 10-13 absorption sites 5. Four main approaches have been proposed: Ionotropic gelation with an oppositely charged, simple or complex Coacervation, Emulsification/ Solvent evaporation and, more recently, Spray drying 6. 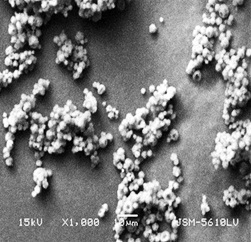 Microspheres prepared by the spray-drying technique can be administered by oral, parenteral, or nasal routes. Recently, spray-dried microspheres have been demonstrated as controlled release carriers for water-soluble and water insoluble drugs 7. This technique can be used either for both heat resistant and heat-sensitive drugs or for both water soluble and water-insoluble drugs or for both hydrophilic and hydrophobic polymers. In addition, it is a one-stage continuous process, easy to scale-up, and only slightly dependent upon solubility of drug and polymer. The particle size of the microspheres prepared by the spray-drying method ranged from a micron to several tens of microns and had a relatively narrow distribution 7. The objective of present study was to formulate and evaluate the Levosalbutamol sulphate loaded microspheres of Chitosan and the same drug loaded microspheres of Flax seed Mucilage by spray drying method, in which both the polymers were to be checked as potential mucoadhesive agents and their cross linking was to be done with Glutaraldehyde for prolonging drug release of Levosalbutamol sulphate for asthma therapy. Chitosan is a cationic biopolymer obtained from N-deacetylation of chitin. Chitin is the principal component of protective cuticles of crustaceans such as crabs, shrimps, prawns, lobsters and cell walls of some fungi such as aspergillusand mucor. Chitin is a straight homopolymer composed of - (1, 4)-linked N-acetyl-glucosamine units while Chitosan comprises of copolymers of glucosamine and N-acetyl-glucosamine. Chitosan is a weak base and is insoluble in water and organic solvents, however, it is soluble in dilute aqueous acidic solution (pH <6.5), which can convert the glucosamine units into a soluble form R–NH3+. Chitosan, a natural cationic polysaccharide, finds many applications in the pharmaceutical and biomedical fields that have been extensively reviewed in the literature, due to its favourable characteristics such as non-toxicity, biocompatibility, biodegradability and properties such as bioadhesion. The positively charged microspheres enhanced the mucoadhesive properties and made these suitable for delivery of drugs via the nasal or gastrointestinal routes. Chitosan microspheres obtained by this method are characterized by high sphericity and specific surface area, important parameters for application in the pharmaceutical field (drug delivery systems) 8. Currently the main Flaxseed substances which provide interest to the seed are poly-unsaturated fatty acids, proteins, polysaccharides and lignans. Polysaccharides are contained in amount of about 28% of the weight of full-fat Flaxseed. A ratio of soluble to insoluble polysaccharides in Flaxseed is between 20:80 and 40:60. The main fractions of insoluble polysaccharides are cellulose and lignin. The water soluble polysaccharides (mucilage) are contained mainly in the hull, or, to be more precise, in mucous epidermis and can be easily extracted by water. Flaxseed (with the moisture of around 93%) contains about 6.5% of mucilage; up to 10.2% .Currently Flaxseed mucilage is characterized as a mixture of neutral arabinoxylans and acidic rhamnose containing polysaccharides. The ratio of rhamnose to xylose, which roughly indicates the ratio of acidic to neutral polysaccharides, may range from 0.3 to 2.2, but the average ratio is around 0.7. It was shown that the main polysaccharide (75%) of Flaxseed mucilage is a neutral polymer. the neutral fraction contains L-arabinose, D-xylose, and D-galactose (3.5:6.2:1), and the acidic fraction contains L-rhamnose, L-fucose, L-galactose, and D-galacturonic acid (2.6:1:1.4:1.7). The neutral fraction is an arabinoxylan having a (1/4)-b-D-xylan backbone to which arabinose and galactose side chains are attached at positions 2 and/or 3. The acidic fraction has a backbone of (1/2)-linked a-L-rhamnopyranosyland (1/4)-linked D-galactopyrano syluronic acid residues, with side chains of fucose and galactose residues, the former essentially at the non-reducing end 9. Mucilage removal by wet processes has been studied by many researchers 10. 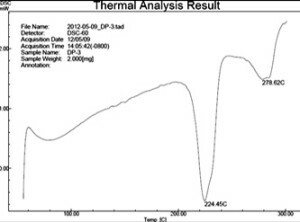 Optimization of a spray drying process for Flaxseed gumwas carried out by Oomahet al, 2008. Chitosan microspheres prepared by the spray-drying technique cannot be kept suspended in water because of their greater swelling and dissolution. Therefore, non-cross-linked Chitosan microspheres prepared by spray-drying technique are unsuitable for the purpose of sustained delivery systems. In order to prepare stabilized Chitosan microspheres by spray drying, cross-linking agents such as formaldehyde and glutaraldehyde have been used as stabilizing agents 11. Glutaraldehyde was used to crosslink the hydro soluble matrix in order to improve the adhesion between matrix and fiber and moisture resistance 12. Levosalbutamol is the first example of a β adrenergic agonist that may have reduced toxicity and enhanced efficacy due to stereo selective binding at the receptor. Levosalbutamol sulphate is a selective β2 – adreno receptor agonist and is readily absorbed from G.I.T. but it is subjected to considerable first pass metabolism. Thus its oral bioavailability is only 50%. The potential for the S- enantiomer to cause adverse effects led to the development of a single R- enantiomer of albuterol, marketed as Levalbuterol. Materials: Levosalbutamol sulphate was gifted by Marck Bioscience Ltd, Kheda. Chitosan S was procured from Cognis Pharmaceuticals, Germany. Flax seed was obtained from Local market, Anand. Sodium chloride (NaCl), Sodium Hydroxide (NaOH), Di-sodium hydrogen phosphate (Na2HPO4), Potassium Di-hydrogen phosphate (KH2PO4) werereceived from S.D. Fine chemicals, Mumbai. Glutaraldehyde, Glacial acetic acid, Methanol and Isopropyl alcohol were procured from Astron, Ahmadabad. Goat nasal mucosa was obtained from local abattoir house of Anand. Extraction of Flax seed mucilage and its characterization: Extraction of mucilage was carried out by Acetone precipitation, Spray drying and by Drying in Hot Air oven 13, 14. The prepared flax seed mucilage was characterized by determining its pH, Mucoadhesive strength, Degree of swelling 14. Differential Scanning Calorimetric (DSC): Differential scanning calorimeter (DSC) was performed using Perkin Elmer instruments, (Perkin Elmer DSC-7, Norway, USA.) to study the thermal behaviour of Levosalbutamol sulphate and mixture of drug and polymers 15, 16. Fourier Transform Infrared Spectroscopy (FTIR): The Infra-Red spectra of Levosalbutamol sulphate, physical mixtures of drug and polymer were conducted using Fourier Transform Infrared Spectrophotometer (Perkin Elmer-spectrum Bx, USA). The procedure consisted of dispersing a sample (drug alone, mixture of drug and polymers) in KBr to prepare 10% of mixture and ground generally in mortar-pestle with KBr before being compressed into pellets. This pellet was placed in light path and spectrum was recorded at a resolution of 2 cm-1 over a frequency range of 4000 to 400 cm-1. The background spectrum of KBr was used as blank for determination 16, 17, 18. Preliminary batches: Preliminary batches of microspheres were prepared by taking different concentration of polymers (Chitosan and Flax seed mucilage) as per Table 1. Chitosan was taken and dispersed in 1% acetic acid solution. Same in case of flax seed mucilage, but here Water was used as a solvent. Microspheres were prepared by Spray drying method. 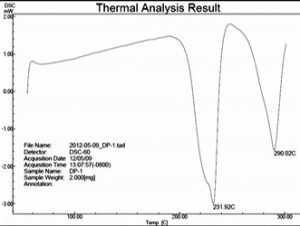 The process parameters of the spray-drying technique for Chitosan were: inlet temperature 120-130°C, outlet temperature 85-90°C, aspirator speed 55%, and the feed pump speed 5 ml/min 19. The process parameters of the spray-drying technique for flax seed mucilage were: inlet temperature 150-160°C, outlet temperature 120°C, aspirator speed 45%, and the feed pump speed 5 ml/min 20, 21. For further study, evaluations were carried out on the basis of %Entrapment efficiency, %Drug loading, %Mucoadhesion study and swelling behaviour of the product. Preparation of Microspheres: By observation of above parameters Microspheres were prepared by spray-drying technique (Table 2) by same procedure as above but here for cross linking different concentration of Glutaraldehyde (GLA) were to be added. Feed solution was prepared by dissolving the drug and polymer by using a paddle stirrer. For cross linking process stirring is carried out at 2000 rpm for 30 min. Percentage yield 22: The Production yield was calculated as the weight of the final product after drying, with respect to the initial total amount of Levosalbutamol sulphate and polymer used for the preparation of microspheres. Mtherotical = Theoretical amount of drug in microspheres calculated from the quantity added in the fabrication process. Mucoadhesion study 23: A freshly cut 2 cm2 piece of Goat nasal mucosa was obtained and study was done by falling liquid film method. Sixty min after administration of microspheres, the concentration of drug in collected perfusate was spectrophotometrically determined. The microsphere amount corresponding to the drug amount in perfusate was determined. The adhered microspheres amount was estimated as the difference between the applied microspheres amount and the flowed microspheres amount. The ratio of adhered microspheres was computed as percent mucoadhesion using following equation. W1 = weight of microspheres leached out. Shape and surface morphology 25: Shape and surface morphology of microspheres formulations was determined using optical microscopy and scanning electron microscopy. Where, D0.9, D0.1 and D0.5 particle diameters determined at 90th, 50th and 10th percentile of particles respectively. In vitro Drug Release (Diffusion Study) 27: The drug release from different microspheres systems was determined using treated cellophane membrane and Franz diffusion cell. The treated cellophane membrane was fixed between the donor and receptor compartment of the diffusion cell to support the microspheres. Microspheres were placed on the cellophane membrane in the donor compartment and receptor compartment contained PBS (pH 7.2) maintained at 37±1oC. The samples was withdrawn periodically for 8 h and replaced immediately with fresh PBS (pH 7.2.). The samples were analyzed spectrophotometrically. Kinetics of Drug Release 27: The drug release profile of all batches was fitted into a zero-order, first order, Higuchi, and Korsymer-Peppas to access the kinetic model of drug release. Aerosolization behaviour of microspheres 28, 29, 30: Respirable fraction was calculated by Cascade Impactor analysis. Statistical Analysis: Aerosolization behavior of optimized batches were analysed with ANOVA. Aerosolization behavior of optimized batches were further analysed by Dunutte’s multiple Comparison test by which we could make comparison of optimized batch with marketed preparation. Stability 31: The microsphere batches was stored at 40±1oC and 75% RH for 30 days and observed for the size and shape at 10 days interval. The drug content was determined after the study using the method of determination of drug loading. - Requires high amount of acetone which is costly. - It also affects viscosity of main product as per literature. - Remaining of residual impurity. That’s why this method was excluded. Characterization: Table 3 depicts the values of pH and swollen volumes of the mucoadhesive agents. Flax seed mucilage possesses appropriate pH value which is within the pH range of the nasal cavity (5.5-6.8) and mucoadhesive strength which can be compared with Carbopol 934 as per Table 3. Differential Scanning calorimetry (DSC): The thermal behaviour of Levosalbutamol sulphate, Chitosan microspheres, and microspheres of Flax seed mucilage were evaluated by DSC and represented in Figure 2. It was used to determine the existence of possible interaction between the polymer and drug. 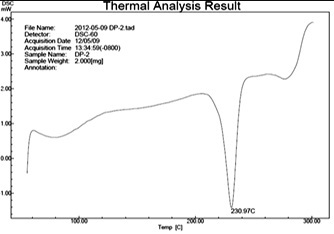 The DSC thermogram of pure Levosalbutamol sulphate did not show any melting point but a decomposition pathway, characterized by two exothermic peaks 231.92 and 290.02ºC, which is comparable as reported in literature 32. The DSC of Chitosan microspheres showed a peak at about 230.97 ºC while the microspheres of Flax seed mucilage shows a peak at about 224.45ºC , which were found in DSC of pure drug. Thus it can be concluded that there was no interaction between drug and polymer. 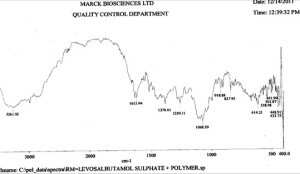 Fourier Transform Infrared Spectroscopy (FTIR): Figure 3(a) depicts FTIR spectra of Pure Levosalbutamol sulphate with principal splitting peaks at around 1600cm-1 indicating the presence of –NH group. The absorption due to the –OH group present molecule is supported by exhibition of a shoulder to the main peak in the region of 3580–2300 cm−1. 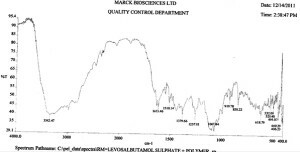 Infrared Spectra of Levosalbutamol sulphate, Physical mixture 1, Physical mixture 2 [Figure 3(b) and 3(c)] revealed no considerable changes in the FTIR peaks of Levosalbutamol sulphate in the physical mixtures in those cases when compared to pure drug thereby indicating the absence of any interaction at physical mixture level. Drug loading and Entrapment efficiency: Entrapment efficiencies of all the formulations are located in Table 4. The drug entrapment efficiency was an important variable for assessing the drug loading capacity of microspheres and their drug release profile, thus suggesting the amount of drug availability at site. The drug entrapment efficiency of Chitosan loaded mucoadhesive microspheres varied from 88.53±0.46 to 96.26±0.92% and that of Flax seed mucilage loaded mucoadhesive microspheres varied from 73.60±0.69 to 91.71±0.92%. The drug loading capacity of Chitosan microspheres was found in the range of 44.26 ±0.23 to 24.06±0.23% and the microspheres of Flax seed mucilage showed the drug loading capacity in the range of 36.80 ± 0.34 to 22.93 ± 0.19%. As increase in concentration of polymer % Entrapment efficiency increases and that of % drug loading decreases. 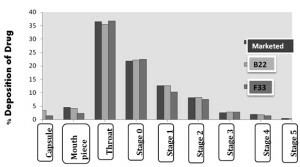 Mucoadhesion study: Mucoadhesion study of batches B1 to B3 and that of F1 to F3 was carried out by falling liquid film method by using goat nasal mucosa and was found to be in the range of 87.11± 0.19 to 93.78± 0.19 % and from 82.17± 0.17 to 88.11± 0.19 % respectively. As the concentration of polymer increases the mucoadesion capacity was found to be increased in both the case of polymer batches because more amounts of polymer results in higher amount of free -COOH groups, which are responsible for binding with sialic acid groups in mucus membrane and thus results in increase in mucoadhesive properties of microspheres. The functional groups available on the surface of the polymer favouring mucoadhesion are hydroxyl, carboxyl, amine and amide. Being carbohydrate both the polymers are rich in a foresaid functional group contents hence showed higher percentage of mucoadhesion. Swelling Study: The Degree of swelling for Chitosan microspheres varied from 0.573 ± 0.003 to 0.741 ±0.004% and that of Flax seed mucilage microspheres varied from 0.669 ± 0.002 to 0.712 ± 0.001%. The maximum swelling (degree of swelling) was observed with microspheres containing highest concentration of polymer in both cases. Drug Release Study: The drug release profile from various formulations of microspheres is shown in Figure 4. 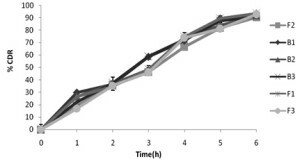 Microspheres prepared with Chitosan and Flax seed mucilage moderately sustained the drug release up to 6 h. As per described in the results of Preliminary batches the Swelling degree of Batch B2 and B3 were found to be 0.621 and 0.741 respectively. In case of Flax seed the Swelling degree of batch F2 and F3 were found to be 0.707 and 0.712 respectively. More swelling is indicative for rapid availability of drug solution for diffusion with a greater flux. Thus for sustained release Batch B2 and Batch F3 were chosen from preliminary batches. Here to achieve the sustained release, low degree of swelling was desired. Also % Mucoadhesion of Batch B2 and B3 were 91.78% and 93.78%. Thus there was not much difference found in range of % Mucoadhesion. So batch B2 was selected for further work from Chitosan microspheres. The % Mucoadhesion of batch F2 and F3 were 83.78% and 88.11%. Hence for achieving mucoadhesive formulation batch F3 was selected for further work from Flax seed mucilage microspheres. Drug release from microspheres of preliminary batches was to be done up to 6 h. Non-cross linked Chitosan microspheres cannot be dispersed in water because of swelling and dissolution. Hence, cross linking agents were generally used to solidify the microspheres Cross linked Chitosan microspheres had a yellow-brown color, especially that color was more intense with increasing Glutaraldehyde (GLA) concentration. Similar observation was reported previously 33. Here Cross-linking of polymer was to be done to retard the drug release and to decrease the swelling behaviour of polymers. Percentage yield: Percentage yield was found in the range of 34 to 36% (Table 5). Spray-drying method used in this study appears to be a suitable and simple method to prepare microspheres as it is also reproducible, rapid, and easy to scale up, when compared with the other encapsulation techniques such as emulsification solvent evaporation. However, the yield of production is calculated about 40% for all formulations (Table 5). This relatively low production yield values can be due to the small batch size (each batch was prepared with 150 mL of solution). Besides, the loss of the material during the spray-drying process was explained with the polymer film adhesion on the cyclon walls. The low yield values for spray-drying process were also because of the loss of lightest particles through the exhaust of the spray-dryer apparatus as it is not equipped with a trap to recover the lighter and smaller particles as reported by other researchers 34. Percentage drug loading and Entrapment efficiency: Formulations B21 and F31 were having the entrapment efficiency of 93.12 ± 0.71 and 93.13 ± 0.46 %, whereas formulations B23 and F33 were having entrapment efficiency of 87.58 ± 0.71 and 89.8 ± 0.92 %. It was found that by increasing the ratio of mucilage to drug, the entrapment efficiency increased as per preliminary batches but it was decreased as the concentration of cross linking agent increased (Table 5). Drug loading was also decreased as the concentration of cross linking agent increased (Table 5). Ex-vivo Mucoadhesion study: Mucoadhesion studies were carried out to ensure the adhesion of the formulation to the mucosa for a prolonged period of time at the site of absorption. The mucoadhesion studies indicated that the cross linked microspheres showed good mucoadhesion. 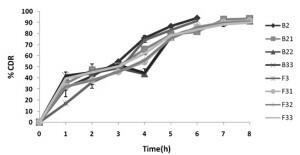 Mucoadhesion was reduced for Chitosan (91.13 ± 0.41 to 84.11 ± 0.69) and for Flax seed mucilage (86.22 ± 0.38 to 85.11 ± 0.19) on increasing the Glutaraldehyde conjugation, and also it was found to be low as compared to microspheres prepared without cross linking agent. This could be because of little availability of hydroxyl groups to interact with the mucous membrane. Therefore, the maximum and prolonged mucoadhesion in case of Chitosan microspheres were to be found for batch B21 (91.13%) but % Mucoadhesion of batch B22 (89.50%) was also found to be good and it could be comparable with batch B21. In case of Flax seed mucilage maximum and prolonged mucoadhesion was found to be of batch F31 (86.22%), which was found to be nearer to the % Mucoadhesion of batch F32 (85.22%) and F33 (85.11%). The cross-linking made mucoadhesive polymer probably becomes more rigid and thus % Mucoadhesion decreases 35. Swelling: The cross-linking density in the microspheres could be increased by the chemical treatment duration, thus reducing and controlling the effect of hydration. The maximum swelling (degree of swelling) was observed in case of Chitosan microspheres with less cross linking (less quantity of Glutaraldehyde) agent of batch B21 (0.587 ± 0.004) and that of Flax seed mucilage microspheres of batch F31 (0.691 ± 0.002). But no considerable difference between batch B22 and batch B23. Same for Flax seed mucilage, that not much difference found between batch F32 and F33. The swellability decreases with increasing the cross linking density (Table 5). This could be due to increasing the cross linking of hydroxyl group of the polymer with the cross linking agent. Chitosan could be covalently cross-linked with Glutaraldehyde through its amino groups. The denser the cross-linking bridges between the Chitosan molecules, the more packed is the structure. Such structure can be characterized by lower and slower penetration of the solvent through the chain structures of the polymer, suggesting that the swelling ratio and hence the release characteristics of the microspheres can be controlled 35. Scanning Electron Microscopy: The morphology of the optimized batches was examined by SEM. 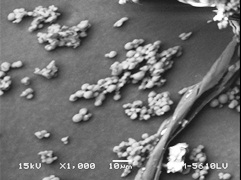 The SEM photographs of the Levosalbutamol sulphate loaded microspheres are shown in Figure 5a and 5b. 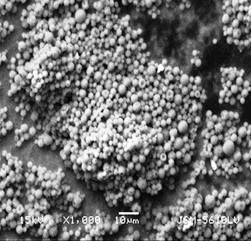 SEM analyses revealed that all microspheres were spherical in shape and microspheres have a smooth surface characteristic. Particle size Analysis: The mean (d0.5) particle size of microspheres was ranged between 10-13μm. Particle size distribution graphs of microspheres shown in Figure 6. The particle sizes of the optimized batches from above parameters were compared with marketed product. Here controlled sizes of microspheres were obtained due to cross linking with Glutaraldehyde. Span index was calculated by using equation mentioned in section 2.5.6. Particle size distribution was used to study about uniformity of Microspheres. Higher span index indicates the high level of non-uniformity and its value is used to characterize the microspheres as monodisperse, homogenous and heterogeneous systems. Span index are presented in Table 6. Lowest value of span index was found in particles of marketed product i.e. 1.975 whereas span index of two optimized batches of Chitosan and flax seed microspheres were found to be 3.822 and 2.953. In-vitro Drug Release Study: The plots of cumulative percentage drug release vs. time shown in Figure 7. Thus as comparing with preliminary batches, microspheres containing Glutaraldehyde retard the drug release up to 8 hrs. It was found that as the concentration of cross linking agent increases the % CDR of Chitosan microspheres (93.4 to 91.8%) and Flax seed mucilage microspheres (91.98 to 89.88%) were decreased. Kinetics of Drug Release: Korsemeyer-Peppas model describes the release mechanism of drug from matrix. Release profile of log fraction released versus log time was plotted and its slope value is ‘n’ value. When the value of n falls between 0.5 and 1 (0.5 < n <1) indicates non-fickian drug release. This type of drug release is controlled by combination of polymer swelling, erosion and diffusion through the hydrated matrix (Diffusion and chain relaxation). Here, n values were obtained in the range of 0.8 to 1 which indicate non-fickian diffusion as described in Table 7. It has been shown that in polymers, swelling and erosion of the polymer occur simultaneously, and both of them contribute to the overall drug-release rate. Aerodynamic properties: The aerosolization properties of two optimized batches of microspheres were evaluated as compare to marketed product. % of deposition of drug at each stage of Cascade Impactor can be seen in Figure 8. The recoverable powder mass for all formulations were 85-93%. From the graph it can be observed that the maximum % deposition of microspheres was found at the throat part and stage 0 of the Cascade Impactor. Here, ANOVA was applied for % of weight distribution on each stage, in which Fcrit > Fcal, which concludes that there was no significant difference in Aerosolization properties for Optimized batch as compare to marketed preparation as per Table 8. For further confirmation Dunnett's Multiple Comparison Test was also applied and there was no significant difference was observed as per Table 9. Particle size distributions were compared determining mass median aerodynamic diameter (MMAD), geometric standard deviation (GSD), and fine particle fraction <4.7μm aerodynamic diameter (FPF<4.7μm). Here the Aim of formulation is to target the Upper region of Respiratory system, the diameter of particles in the range of 5-10μm are desirable. Hence no need to find FPF. MMAD was calculated from a best-fit plot of cumulative mass percentage undersize against the effective cut-off diameter (ECD) of the Cascade Impactor on a log-probability graph by online MMAD calculator for Anderson Cascade Impactor, which is described in Table 10. The ECD at each individual stage was determined as ECD = D1 ×1/Q .where D1 is the cut-off diameter at the negative flow rate of 1 l/min (i.e., 4.595, 3.0, 2.090, 1.624, 1.061, 0.719, 0.328μm for stages 1–7, respectively), and Q is the flow rate employed in the test (i.e., 1). The experimental MMAD of the particles were calculated using the intercept at 50%. The ratio between 84% undersize and 50% size (MMAD) represented the GSD. The relative fine particle fraction (FPF<4.6μm) was also determined from the size distribution obtained using the Cascade Impactor. The cut off aerodynamic diameters of stage 0-7 were 8.6, 6.5, 4.4, 3.3, 2.0, 1.1, 0.54, and 0.25 35, 36, 37. Particle distributions with a higher GSD are more polydisperse and represent a greater range of deposition characteristics. Here optimized batches B22 and F33 had GSD 1.50 and 1.51 respectively which showed comparable polydispersibility as Marketed formulation (1.59). Stability Study: By observing SEM photograph [Figure 5(c) and 5(d)], it was conclude that there was no any significant difference found in size and shape after 30 days on microspheres. It was also no significant difference found in Drug loading efficiency of optimized batches after 30 days. CONCLUSION: The present study demonstrates the size and shape of the spray-dried powders is suitable for upper part of respiratory system. Therefore, these formulations hold great potential for treating diseases that require targeted delivery at Upper region of respiratory system with reduced dosing frequency, leading to fewer systemic side effects and improve patient compliance. Thus, on the basis of all the studies we can conclude that the batch having Chitosan polymer to Drug ratio of 2:1 and 0.6% concentration of Glutaraldehyde and Flax seed Mucilage to Drug ratio of 3:1 and 0.9% concentration of Glutaraldehyde may be considered as promising Dry Powder Inhaler of Levosalbutamol sulphate. However exhaustive tissue distribution study and clinical trial still remain before this formulation introducing in the market. Jain S, Chourasia K, Jain K, and Jain R. Development and Characterization of Mucoadhesive Microspheres Bearing Salbutamol for Nasal Delivery. Drug Delivery 2004; 11; 113–122. Senthil A, Thakkar H, Ravikumar and B Narayanaswamy. Chitosan Loaded Mucoadhesive Microspheres of Gliclazide: In vitro and In-vivo evaluation. RGUHS Journal of Pharmaceutical Sciences 2011; 1(2); 163-171. Goud K, Desai H and Park H. Preparation and Characterization of Drug-Loaded Chitosan–Tripolyphosphate Microspheres by Spray Drying. Drug Development Research 2005; 64; 114–128. Sanjay B. Patil, Krutika K. Sawant. Chitosan microspheres as a delivery system for nasal insufflation. Colloids and Surfaces B: Biointerfaces. 2011; 84: 384–389. Senthil A, Thakkar Hardik R, Ravikumar and Narayanaswamy V.B. Chitosan Loaded Mucoadhesive Microspheres of Gliclazide: In vitro and In-vivo evaluation. RGUHS Journal of Pharmaceutical Sciences, 2011; 1(2):163-171. Bergson Fogaça de Oliveira, Maria Helena Andrade Santana and Maria InêsRé. Spray-dried chitosan microspheres cross-linked with d, l-glyceraldehyde. As a potential drug delivery system: Preparation and characterization. Drying 2004 – Proceedings of the 14th International Drying Symposium (IDS 2004).São Paulo, Brazil, 2004, vol. B, 1166-1173. Kashappa Goud H. Desai, Hyun Jin Park. Preparation and Characterization of Drug-Loaded Chitosan–Tripolyphosphate Microspheres by Spray Drying. Drug Development Research. 2005; 64:114–128. Anna Ziolkovska. Laws of flaxseed mucilage extraction. Food Hydrocolloids.2012; 26: 197-204. Wang Y., Wang L., Li D., Xue J, Mao Z. Effects of drying methods on rheological properties of flaxseed gum. Carbohydrate Polymers, 2009; 78: 213–219. S. Alix, S. Marais, C. Morvan, L. Lebrun, Biocomposite materials from flax plants: Preparation and properties. Composites: Part A. 2009; 39: 1793–1801. Shyamoshree Basu, Subrata Chakrabatorty, Amal K. Bandyopadhyay. Development and Evaluation of a Mucoadhesive Nasal Gel of Midazolam Prepared with Linumusitatissimum L. Seed Mucilage. ScientiaPharmaceutica, 2009; 77: 899–910. Hai-Hua Chen, Shi-Ying Xu, Zhang Wang. Gelling properties of flax seed gum. Journal of food engineering, 2006; 77: 295–303. M.A. Palacio , S. Cuffini , R. Badini , A. Karlsson , S.M. Palacios ,Solid-state characterization of two polymorphic forms of R-albuterol sulfate. Journal of Pharmaceutical and Biomedical Analysis, 2007; 43: 1531–1534. S. Alix, S. Marais, C. Morvan , L. Lebrun, Biocomposite materials from flax plants: Preparation and properties. Composites: Part A 2009; 39: 1793–1801. Deirdre O. Corrigan, Anne Marie Healy, Owen I. Corrigan. Preparation and release of salbutamol from chitosan and chitosan co-spray dried compacts and multiparticulates. European Journal of Pharmaceutics and Biopharmaceutics, 2006; 62: 295–305. Mahalaxmi Rathananand, D S kumar, A Shirwaikar, Ravi kumar, D Sampath Kumar, R S prasad. Preparation of mucoadhesive microspheres for nasal delivery by spray drying. Indian J Pharm Sci. 2007; 69:651-657. Sevgi Gungor, Alper Okyar, Sidika Erturktoker, Gul Baktir and Yildiz Ozsoy. Ondansetron-loaded chitosan microspheres for nasal Antiemetic drug delivery: an alternative approach to oral and parenteral routes. Drug development and industrial pharmacy, 2010; 36(7): 806–813. Hitendra S. Mahajan and Surendra G. Gattani. Nasal administration of ondansetron using a novel microspheres delivery system. Pharmaceutical Development and Technology, 2009; 14(2): 226–232. S. K. Jain, M. K. Chourasia, A. K. Jain and R. K. Jain. Development and Characterization of Mucoadhesive Microspheres Bearing Salbutamol for Nasal Delivery. Drug Delivery, 2004; 11:113–122. Pankaj Padmakar Nerkar and Surendra Gattani. In vivo, in vitro evaluation of linseed mucilage based buccal mucoadhesive microspheres of venlafaxine. Drug Delivery, 2011; 18(2): 111–121. Aliasgar J. Kundawalaa, Vishnu A. Patel, Harsha V. Patel, Dhaglaram Choudharya. Influence of Formulation Components on Aerosolization Properties of Isoniazid Loaded Chitosan Microspheres. 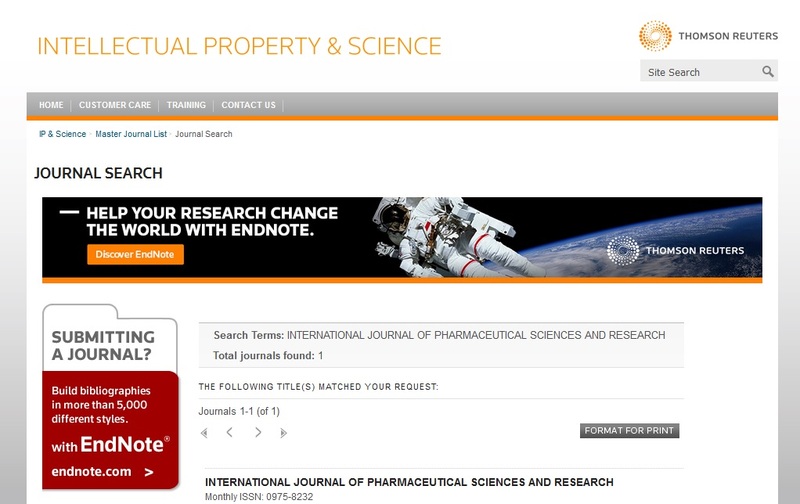 International Journal of Pharmaceutical Sciences and Drug Research 2011; 3(4): 297-302. Jolyon P. Mitchell, Mark W. Nagel, Kimberly J. Wiersema, and Cathy C. Doyle1. Aerodynamic Particle Size Analysis of Aerosols from Pressurized Metered- Dose Inhalers: Comparison of Andersen 8-Stage Cascade Impactor, Next Generation Pharmaceutical Impactor, and Model 3321 Aerodynamic Particle Sizer. Aerosol Spectrometer. AAPS Pharm Sci Tech, 2003; 4 (4): 1-9. Robert Joseph Garmise, PhD Thesis, The faculty of the University of North Carolina. “Novel Dry Powder Preparations of Whole Inactivated Influenza Virus for Nasal Vaccination.” 2007. Senthil A, Thakkar Hardik R, Ravikumar and NarayanaswamyV.B. Chitosan Loaded Mucoadhesive Microspheres of Gliclazide: In vitro and In vivo evaluation. RGUHS Journal of Pharmaceutical Sciences, 2011; 1(2):163-171. Ventura CA, Tommasini S, Crupi E, Giannone I, Cardile V, Musumeci T. Chitosan microspheres for intrapulmonary administration of moxifloxacin: Interaction with biomembrane models and in vitro permeation studies. Eur J Pharm Biopharm. 2008; 68:235–44. Aliasgar J. Kundawalaa, Vishnu A. Patel, Harsha V. Patel, Dhaglaram Choudharya. Influence of Formulation Components on Aerosolization Properties of Isoniazid Loaded Chitosan Microspheres. 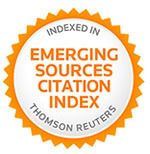 International Journal of Pharmaceutical Sciences and Drug Research2011; 3(4): 297-302. Jolyon P. Mitchell, Mark W. Nagel, Kimberly J. Wiersema, and Cathy C. Doyle1. Aerodynamic Particle Size Analysis of Aerosols from Pressurized Metered- Dose Inhalers: Comparison of Andersen 8-Stage Cascade Impactor, Next Generation Pharmaceutical Impactor, and Model 3321 Aerodynamic Particle Sizer. Aerosol Spectrometer. AAPS PharmSciTech, 2003; 4 (4): 1-9. Robert Joseph Garmise, PhD Thesis, The faculty of the University of North Carolina. Novel Dry Powder Preparations of Whole Inactivated Influenza Virus for Nasal Vaccination. 2007. Patel D, Patel N, Thakkar V, Modi A and Gandhi T: Development and characterization of Mucoadhesive Microspheres of Levosalbutamol sulphate. Int J Pharm Sci Res 2013; 4(5); 1838-1851.